My name is Matt Winick from Ann Arbor, Michigan and I have a strong interest in learning history including social justice. In these subjects, I like to learn the need to make Civil Rights stronger to reduce discrimination, protect the environment from pollution, find ways to improve health care to help people with pre-existing conditions or who can’t afford it, and many others. 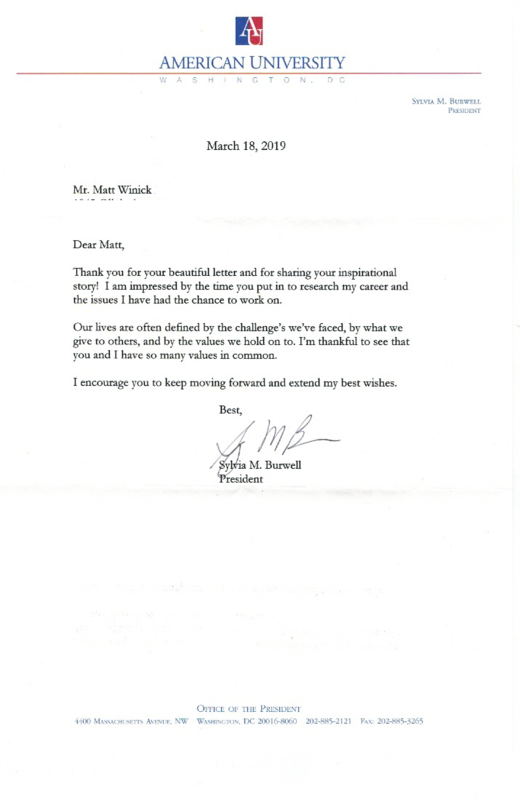 Honorable Burwell, the main reason I’m writing you a letter is to explain how I find your work in the President Obama administration and as current President of American University to be very inspiring to me. When you served in the President Obama administration from 2013-2017, I truly appreciated on how you were a strong supporter and advocate for Civil Rights by advocating for people with disabilities’ rights and working to combat against discrimination in U.S. Health and Human Services department to help protect minorities, women, and people with disabilities. In your role as Director of Office of Management and Budget from 2013-2014, I liked on how you had the courage to work hard to find ways to expand some federal spending to keep the government from shutting down by working with Democrats including moderate Republicans in order to keep government services open to help the public. Also in your role in as Director od Office of Management and Budget, I liked your advocacy about the need to end tax breaks to corporations that send jobs overseas, a strong need to expand job-training programs to help train youth including workers to develop work-skills, and many others. When you served as 22nd U.S. Secretary of Health and Human Services from 2014-2017, I liked on how you worked with President Obama including Congress to pass funds to help combat against the Ebola epidemic crisis by supplying hospitals with medical resources they need to research how to help people and push for health care initiatives like clean food with water including better sanitation. Continuing to protect the Affordable Care Act to help people with pre-existing conditions from losing their health insurance, advocate with President Obama for the need for health care for people with disabilities including people with autism when both political parties ignored this issue, and support providing funds to medical research to find ways to improve medicine while combat against different diseases is common sense for health care reform. In June 2017, I was amazed on how you made history by becoming the first woman to become President of American University. 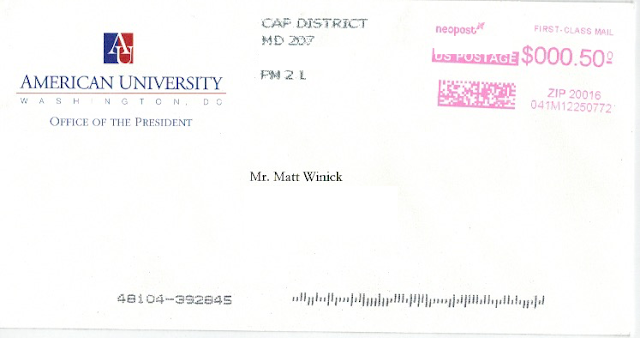 In your current role as President of American University I liked on how you support hiring women, minorities, and people with disabilities to work for the college and work on finding ways to expand on scholarships to help students who are low-income or can’t afford college get assistance. Expanding accommodations to help students with disabilities get help on learning like extra time on exams, implementing more tutoring services to provide students help on assignments from tutors, and working to push for more Liberal Arts (history, arts, basic classes, science, and humanities) to make education diverse is common sense for education reform. I strongly believe that you made a great difference in public service. I’m very proud on how you worked hard to support Civil Rights, push for health care reform, and education reform. You have truly inspired me to work hard on my disability and be motivated to continue to learn history including social justice. Thanks for taking the time to read my letter, working hard to help make a great impact on society, and inspiring me. I wish you the best to continue to advocate for common sense ideas.